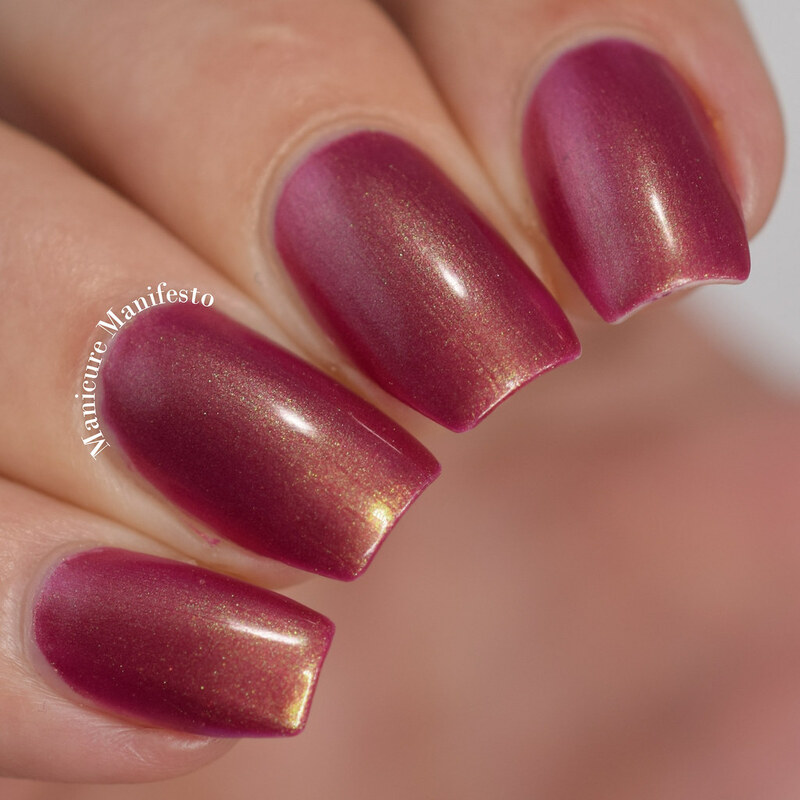 Today I have a polish from Emily de Molly to share with you. Looks Can Kill is made up of colours that I'm not normally drawn to. It's one of those shades that shouldn't work, but does. Who thought the mix of muted berry and green shimmer could look so good together. 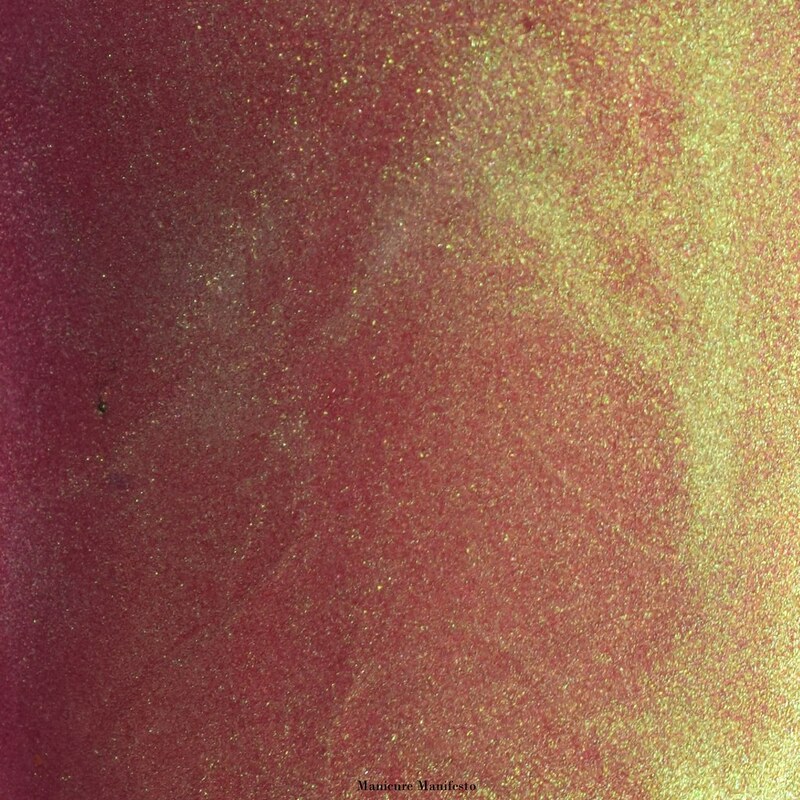 Looks Can Kill features a muted berry base with a strong green to burnished gold shifting shimmer. The formula was a bit sheer on the first coat, but don't worry, it layers up nicely becoming opaque in two. 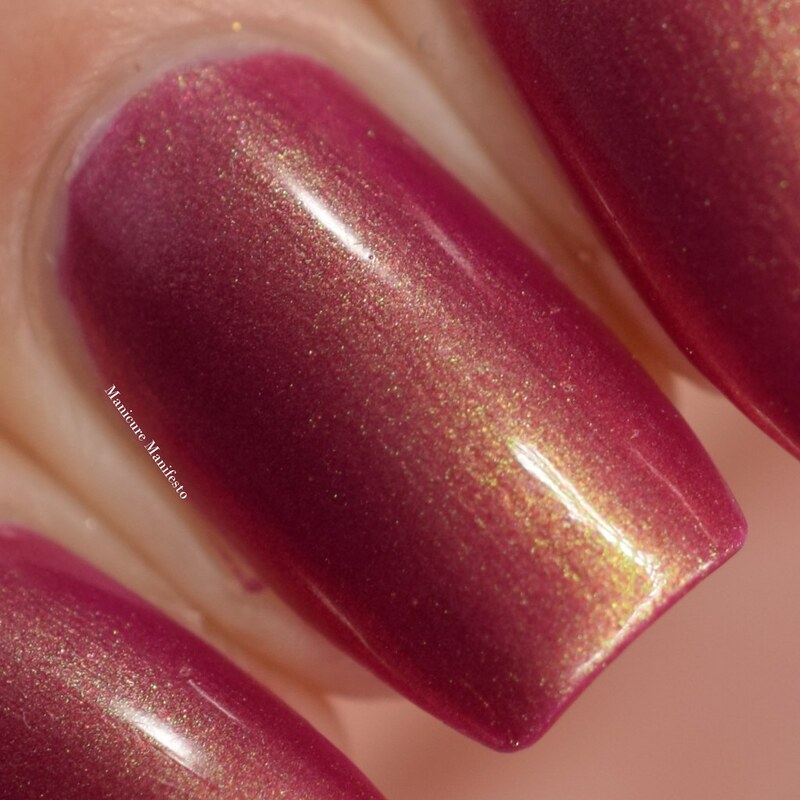 In bright lighting the gold shimmer is predominant and the base leans to a true berry. 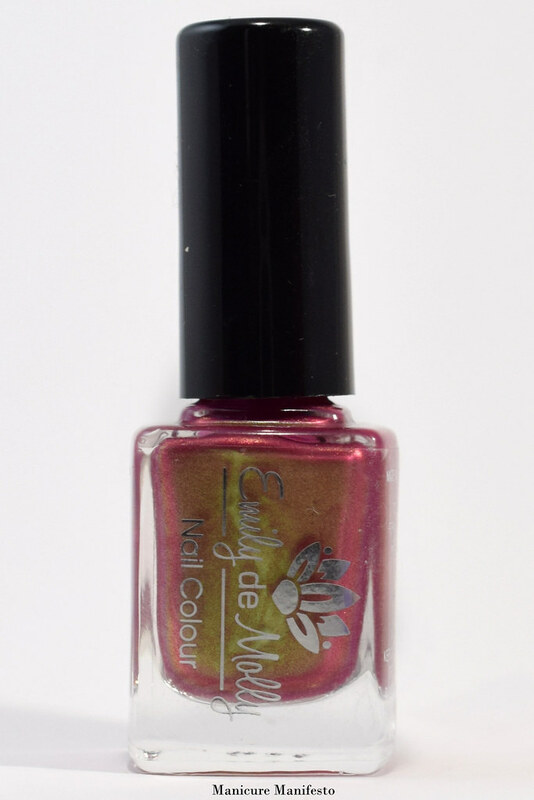 In shaded lighting the green shimmer is stronger and the base becomes more muted, almost a marsala colour. Photos show two coats of Looks Can Kill with one coat of Girly Bits Cosmetics What A Rush topcoat in daylight spectrum lighting.